New for 2014 - Beehive introduces 5/16" tooling! Our new 5/16" tube has a smaller inner bore than our standard 3/8" tube and in some cases, will improve performance of your unit at the same time as reducing coil cost as a like-for-like comparison. 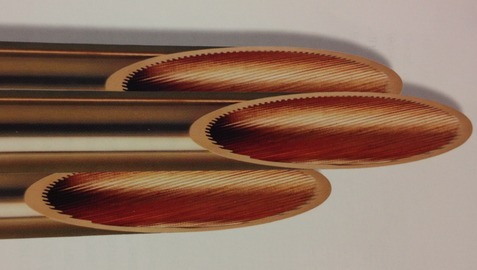 Beehive already has capabilities to manufacture coils using 3/8" (9.5 mm), 1/2" (12.7 mm) or 5/8" (15.9 mm) tube and we have recently added in this smaller, more efficient tubing to offer our customers a complete spectrum of tube diameters - ensuring we can assist with any project requirement from 2014 onwards. Check out our Tube Technology pages or just give us a call on 01638 664134 for more information.